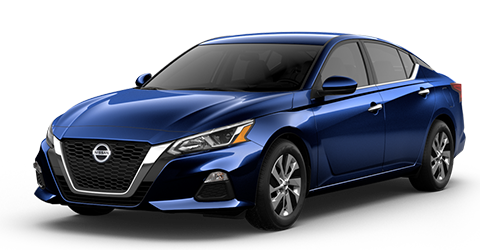 The 2019 Nissan Altima stands out in the highly competitive midsize sedan segment due to its aggressive and modern style. The Nissan Altima also has many practical and useful features that enhance the everyday driving experience for motorists in Oklahoma City and beyond. 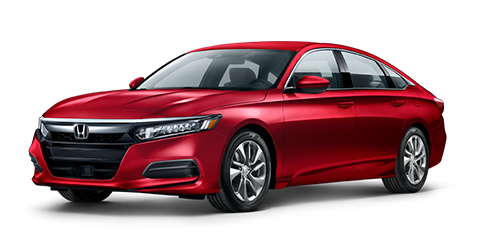 The optional remote engine start, which is not available in the Toyota Camry and the Honda Accord, allows the engine to be started from outside the car, which can come in handy when you want to warm the car up on a cold Oklahoma winter day. The 2019 Nissan Altima also features standard auto-off headlights, which means that you don’t have to worry about leaving your headlights on at night and your battery being dead in the morning. The new Nissan Altima also has standard power side view mirrors that allow drivers to easily adjust their mirrors for optimal visibility of their surroundings, thus increasing safety. Take a look at the stylish and practical Nissan Altima at the Bob Moore Nissan dealer in Oklahoma City. Come in for a test drive today. Safety is of vital importance to Nissan, which shows in the impressive level of occupant protection offered by vehicles throughout their model line. The 2019 Nissan Altima receives high marks from the NHTSA for its performance in crash tests. Part of this is due to the tough construction of the Nissan Altima, and some of the credit needs to go to the comprehensive layout of airbags throughout the cabin. In addition to these building blocks of automotive safety, the Nissan Altima has several standard tech features that enhance its already impressive level of occupant protection. The standard rearview camera makes reversing and parking much easier and safer than ever before. Meanwhile, its standard Electronic Stability Control and Traction Control programs assist the driver in controlling the Nissan Altima in slippery conditions. Learn more about the safety of the 2019 Nissan Altima at Bob Moore Nissan. The mid-size sedan segment is known for being comprised of boring cars that have bland driving experiences. Consider the 2019 Nissan Altima an exception to that. It offers a spirited driving experience that will put a smile on your face, even if it’s just your daily commute. The standard 2.5L 4-cylinder kicks out a peppy 188 horsepower while still getting an EPA-estimated 39 MPG highway. The standard CVT transmission is a big reason for this impressive fuel economy. It also offers unparalleled driving convenience and smooth power delivery. The new Nissan Altima is equipped with standard front-wheel drive, which contributes to the safe and stable driving dynamics. Take the 2019 Nissan Altima out for a spin at Bob Moore Nissan today. Schedule a test-drive for the Nissan Altima at our Bob Moore Nissan car dealership – Oklahoma City drivers’ preferred destination for new Nissan models. The 2019 Nissan Altima is every bit as comfortable and spacious as a mid-size sedan should be. 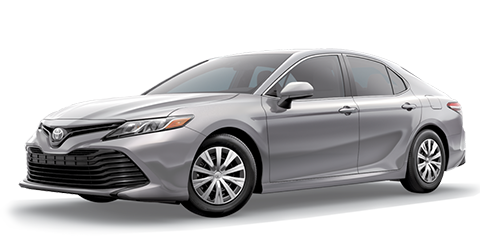 It has more front headroom and legroom than many competitive mid-size sedans, such as the Honda Accord and the Toyota Camry. It also has an interior with a stylish design, which helps it stand out from competitors that have bland and boring interiors. The Nissan Altima also has plenty of cargo space, especially when considering the standard pass-through rear seat, which is another aspect of interior excellence that the Accord and the Camry are missing. To top it all off, the Nissan Altima has a standard push-button start, a convenient feature that is nowhere to be found in the Toyota Camry. Experience the comfort and spaciousness of the 2019 Nissan Altima at Bob Moore Nissan, Oklahoma City’s premier Nissan dealership, today. Schedule your test drive through our website now. The 2019 Nissan Altima has several of fun and useful technology features that competitors like the Honda Accord and the Toyota Camry just don’t have. It has a standard CD player, which accommodates the many drivers who prefer this music format. The 2019 Altima offers Android Auto™ smartphone connectivity, unlike the Toyota Camry. The Nissan Altima also offers Apple CarPlay™, which the 2019 Camry doesn’t have either. These features allow drivers with both Apple iPhones and Android phones to link their phones to the vehicle and access compatible applications. Drivers in Norman and elsewhere in the Oklahoma City area can visit Bob Moore Nissan today to try out the highly desirable tech in the 2019 Altima. Come in for a test drive and find your new dream car.